We are offering best quality Bifurcated Axial Flow Fan that is apt for exhausting or recirculation of fumes, hot air, and gases. 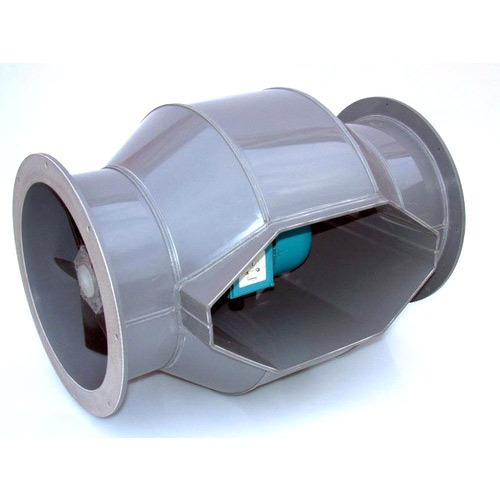 The Bifurcated Axial Flow Fan offered by us is highly in demand in the market. Moreover, it can be availed at the most economical prices. Business acumen, technological expertise and a strong focus on innovation are the factors behind the globally-recognized product line of Airmake Cooling System. Guided by a strong customer-centric approach coupled with unwavering quality benchmarks, we have become a trusted manufacturer of superior quality heating, ventilation and air conditioning equipment and components. Our entire products range includes Louver Panel, Axial Flow Fans, Ceiling Air Diffuser, Man Coolers, Aluminum Grills and more. Right from our inception, we have always believed in manufacturing equipment and components that are high on quality, reliability and durability. Under the able guidance of Mr. Ranjeet Kumar, our team of technological experts continually endeavor to elevate our business standards and keep up with evolving business dynamics by upgrading our product line from time to time. All our products conform to international standards in terms of technology, quality, and service, which has helped us attain standards of excellence in the global market. Apart from this, we are also engaged in offering consulting, designing and after sale services to our esteemed clients that help them execute different operations with comfort.